Garnier Wrinkle Lift Anti-Ageing Cream. We all need a good moisturizing cream, don’t we ? And what if the cream could work as anti-ageing too. Plus point eh ? YAAY! 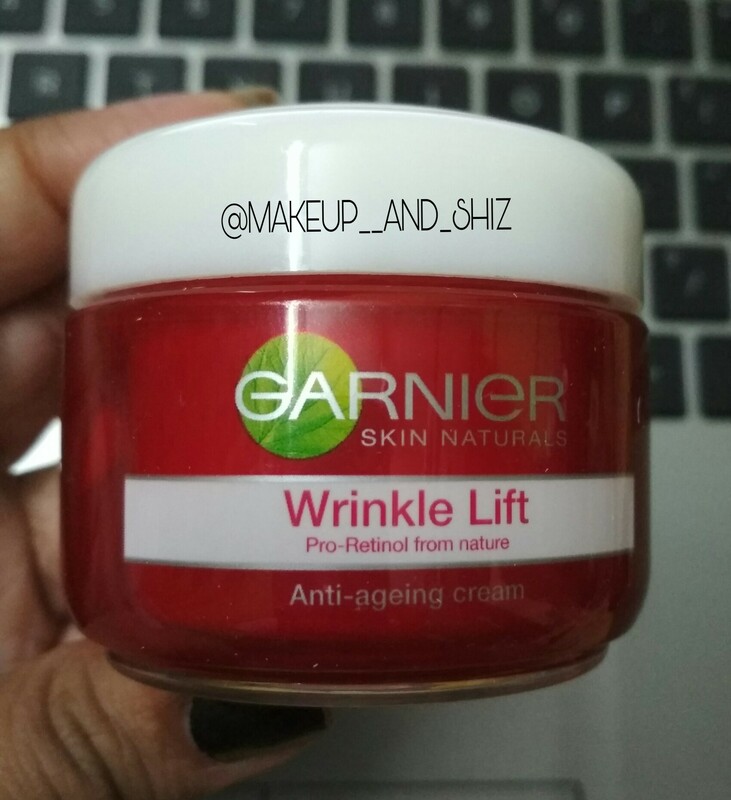 I’m talking about the Garnier Wrinkle Lift Anti -ageing cream. I am 23 year old, Dry skin type. If you need an everyday complete solution that targets the different sings on ageing : wrinkles , fine lines, loss of firmness , skin dryness. It has been designed to reduce wrinkles and put spring and vitality back into your skin , making it look firmer. It contains pro-retinol derived from nature, a new generation of pro-retinol that continuously releases retinol at core of wrinkles for an epidermal double action. It comes in a small red tub and white screw lid. Nothing too fancy, but good enough . And sturdy too. Travel size even . It is white in colour . It is neither too thick or too runny. But little thin than other creams I guess. It is very smooth. Gets easily absorbed into the skin. It has a amazing smell (trust me , you’ll love it ). A very big YES ! I loved it absolutely. I apply twice in a day. It keeps my skin moisturized and radiant all day long ! The skin feels firm and all the dryness are gone ! I even recommend it to my oily and sensitive skin gals out there. This will not cause any breakout. For wrinkles, we know wrinkles are irreversible. This helped in making it look more firm ! ( My mom uses it daily . She is 50+). BIG YES ! I feel this is for all skin type. If you are 20 and 20+ , Give this a try . You won’t regret ! I already have 2 backup tubs !! Will take time to work on fine lines. Has no SPF, so need to layer with sunscreen if wearing in daytime . Comment down below and let me know about your favorite cream ! Thank you all for reading ! Will be back soon with another post ! Next Jeva Activated Charcoal Face Pack With Argan oil – Review. My dad loves this! He goes scooping tubs after tubs..